I bought my first car, a used one, last year. The market for second hand cars in India is massive. 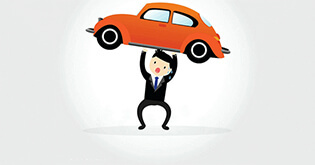 So much so, that a Frost and Sullivan report from last year actually pegs second hand car purchase number to be as high as being equal to new car sales in the year! Used car or not - first car is a pretty big deal. I went to great lengths to pick out the one I really liked. The real work began after I decided on the car, for what followed was an endless trail of paperwork, registrations, insurance woes and transfers. Oh, the struggle was real! Luckily for me, I had Coverfox to help me navigate through the process with ease at each of the seemingly complicated steps. Best perk of working here yet, I kid you not. Here's a quick read that will guide you if you're looking to buy a second hand car. Check the existing insurance papers of the second hand car you are going to buy. You will be able to indicate if the car has had any accidents or claims related to those. A quick way to see this on the policy is to note the no claim bonus (NCB) percentage applied. The higher the NCB, the better. Check if the engine number and chassis no. match the number in the registration papers before you buy second hand car. Check all the filters of the second-hand car, and get them changed if possible. All filters (air, fuel, transmission, oil) need regular cleaning and oiling. Failing to do this can affect the performance of the car significantly. If nothing else, this is a quick judge of how well the car has been maintained. Check the brakes of the second hand car. Drive the car at 40-50 kmph in an area that has little to no traffic. Be sure to look for any vibration, or any strange and squealing noise from the brake pedal. Brakes that pulsate could also mean that the rotors need replacement. Check under the hood for signs of damage, dents or rust – they are signs of a poorly maintained car or a prior damaged one. Related Article: Have A CNG Car Or Considering Buying One? Reading This Will Save You Money! For this, you should fill out and submit Form 29 & Form 30, issued by the RTO in the jurisdiction you live in (Find the RTO closest to your residence here). The form should be signed by both the previous owner and you. If the car is registered in a different jurisdiction from yours, then an NOC from that jurisdiction's RTO will help speed the process. This registers the transaction. After submission, the local RTO initiates the transfer. You will receive a receipt within 15-18 days and the name-changed RC copy by the 40th-45th day. In the interim, copies of these forms or the receipt work as proof of transaction. Check form 32 & 35 to ensure that there are no pre-existing pending loans on the second hand car you are buying. If buying a second hand car bought by the previous owner on finance, ensure that you get the original invoice of the car. Also get the No Objection Certificate (NOC) from the car finance company. Bi-fuel certification if the car is CNG/LPG fitted. It's as important to have a valid insurance policy copy in your name as it is to get the registration transferred. If the RC is registered in your name and the policy is still under the previous owner's, then the insurance policy stands nullified! So, it's very important to transfer the insurance in your name after buying second hand car. In case you want to transfer the second hand car insurance, it has to be a process parallel to the transfer of ownership. Many second hand car sellers, as well as buyers, are unaware of this key point and assume that the previous owner's policy is valid. The photocopy of the receipts/form 29/30 can be used to apply for the name transfer on the second hand car's insurance policy. As for the process, you just need to contact the insurance company, an agent of the company or a broker like us who can help you with the process. We've had a couple of cases where the previous owner didn't hold a valid car insurance. 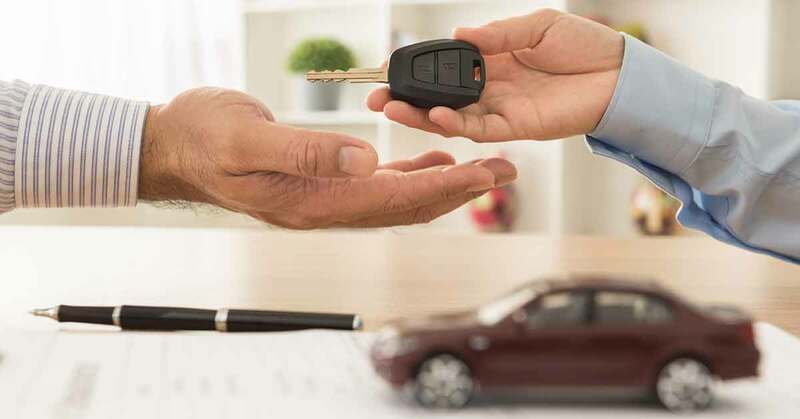 Once the customer had the RC transferred to his name after the purchase, it is mandatory to apply for a new car insurance policy - there is no two ways about it! Just log on to Coverfox.com, this is as simple as buying or renewing a regular car insurance policy. In the process, a new insurance policy gets issued after a quick vehicle inspection from the insurance company. Coverfox helps you speed this process as well. What if I want to buy a fresh policy in my own name? It is actually the best option to buy a new policy in your own name. It helps you buy the policy from the company of your choice, at a price you are comfortable with and start your journey on a clean chit, without any baggage from the previous owner. It also helps you negotiate a better price from the seller. What's more? The process can be a breeze if you choose to get the second hand car insurance from us. In most cases the above process can be done within a single day and you ride your car safely insured. Just drop your contact number in the form below and we'll take care of the rest. 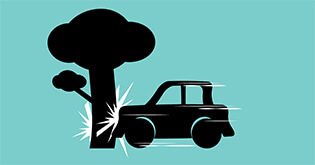 NCB is given to the insured and not the insured vehicle. 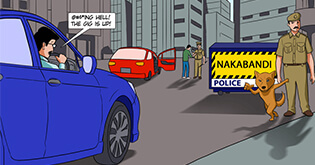 Hence, on transfer of the vehicle, the insurance policy can be transferred to the new owner but not the NCB. The new owner has to pay the difference on account of the NCB for the balance policy period. 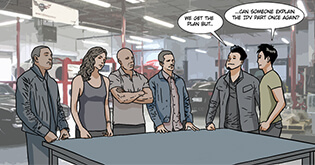 The original owner can, however, use the NCB on a new vehicle purchased by him. If you're transferring the policy from the previous owner and he has an NCB discount on the policy, this can't be transferred to you. If you've had a car in the past, and a no claim bonus discount is applicable, the last insurance company you held the policy with, should have issued an NCB reserving letter to you, which is valid for 3 years from the time of the last policy expiry. You can use this letter and apply this discount to the new policy you buy, or adjust the pro-rated amount, in case of transferring the previous owner's policy in your name. Do note that if your NCB amount is greater than your sellers', you will not get a refund. So even from the NCB point of view, it is best that you buy a new policy afresh, in your name. A thorough clean up: Both interior and exterior. (A new car's prerogative, be it new or old, is to look shiny if you want to flaunt it!). If possible, consider steam cleaning and sanitizing your new car. Change of fluids: Life expectancy of a car always depends on how well you maintain it and a regular change of fluids and oils is a must! The best thing to do after buying a second hand car is to change all the fluids right away before using it. Here is a great find from lifehacker.com on all that you would need to know about changing fluids! Quick fixes to be done: Fix lights, spark plugs etc. Any sign of rust, water entry through cracks and holes or other wear of the trunk should also be checked and fixed. Everything sorted? Now you're all set to take the plunge! Enjoy the thrill of riding your own hard-earned, well deserved car! 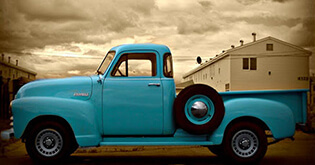 Hope the above used-car buying guide has given you a good insight on buying used cars. We would love to hear your own experience and learnings, if you've bought a used car, or share your questions with us, if you're considering buying a used car.